Heathrow to King’s Cross station Taxi: Heathrow to King’s Cross station taxi – Book Heathrow to King’s Cross station taxi, To/From Heathrow to King’s Cross station taxi & Get 10 % Off! – King’s Cross area has a very interesting history. Its name mainly comes from a monument that was dedicated to King George IV, which was situated right where the rail station is located today. This area is also famous for its appearance in Charles Dickens novels, as it was one of the poorest districts in the capital of the United Kingdom. This situation lasted through the 19th century and even after the World War II, until a big renovation took place. This managed to turn King’s Cross area into a cultural one and, in time, became surrounded by expensive and beautiful locations. So let us see what beautiful things you can do and see now that you have landed on Heathrow Airport. 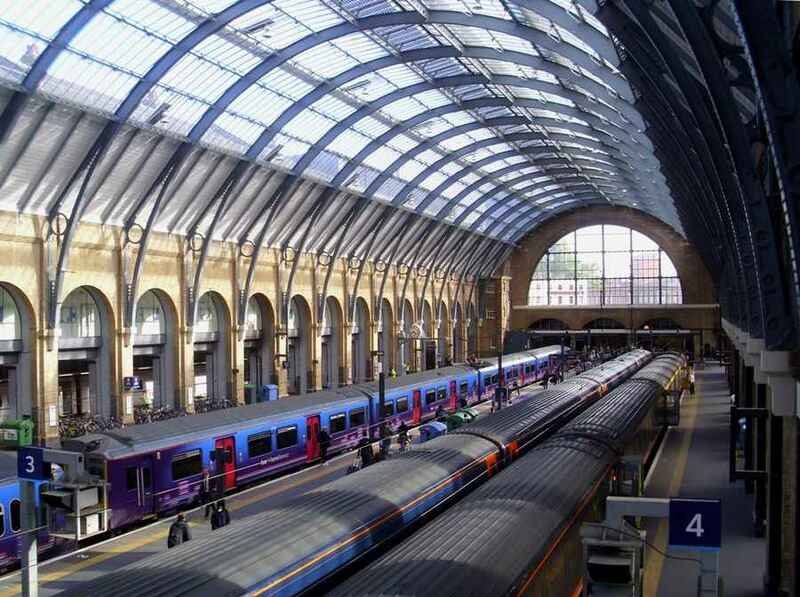 You will find a few useful hints regarding the airport transfer to King’s Cross area at the end of this article. After you reach your destination, make sure to check in to a nice hotel, like: Great Northern Hotel, Pullman London St Pancras and St. Pancras Renaissance London Hotel. After a little bit of freshening up, start your adventure. If you are in the mood of seeing a great play, a beautiful movie or listen to a live concert, try the following venues: Scala (275 Pentonville Road), The Lexington (96-98 Pentonville Road) and Kings Place (90 York Way). But these are plans for your evenings. During the days, you have the chance to visit some of the most beautiful collections in the world, in museums and galleries such as: London Canal Museum (12-13 New Wharf Road), John Ritblat Gallery – Treasures of British Library (96 Euston Road) and the British Library. Of course, King’s Cross Station area has plenty of wonderful surprises that await for you. They range from interesting shops, markets and boutiques, to great restaurants, bars and pubs. Thus, you have the opportunity to taste all kind of international or British dishes and beverages and also buy some souvenirs as a reminder of this successful journey. We hope that you will have a great time and make a lot of pictures and beautiful memories. In order to get a Heathrow to King’s Cross Station by rail, you have the train from Heathrow Airport (every 15 minutes) via Paddington (H&C) (every 5 minutes) and then simply walk for 3 minutes. This whole journey takes about 33 minutes. Another option would be to take the Tube from Heathrow Airport Term 1-3 (every 10 minutes) and then enjoy a short walk of 3 minutes. This journey will take about 58 minutes. A Heathrow to King’s Cross Station Transfer by car can be done by taking the M4 motorway. Heathrow Airport is at a 19.5 miles distance from King’s Cross Station. This journey will take about 39 minutes, without including traffic. A Heathrow to King’s Cross Station Taxi with 247 Heathrow Airport Transfer is going to take about 57 minutes, including rush hour traffic. 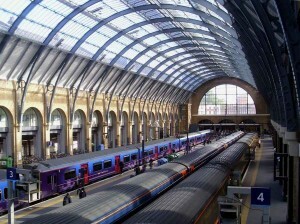 The price for a Heathrow to King’s Cross Station Taxi starts from 47 GBP.. In the words of Mark Twain, “travel is fatal to prejudice, bigotry, and narrow-mindedness”. We proud ourselves with having to work in such a people-oriented industry in which we can see day by day the effect that our services bring to our customers. Regardless of the reason to travel, each passenger wants the same outcomes from his or her transfer: punctuality, safety, comfort and professionalism. These are aspects that we are constantly improving through our experience, market analysis and of course, the feedback that we are receiving constantly. Our Heathrow to King’s Cross station taxi services are no exception to applying these values. Heathrow Airport is one of the most requested pick-up or drop-off locations. This comes as no surprise as it is an amazing building that receives as many as 201,000 passengers par day. It has also been used to film one of the scenes of the movie Love Actually in 2003. Our drivers are thoroughly trained so that we make sure they know each pick-up procedure and are able to assist the passengers in arriving at the meeting point if that is necessary. Regarding our fleet, we are always opened to expand and vary our offer. It is, in our opinion, an extremely important factor to be opened to grow and develop in such a competitive world. It is, in the end, a strategy that benefits the client and that is what we are striving for. We apply the same principles to our Heathrow to King’s Cross station taxi services. Being the connection between two different means of transportation- airplane and train, it is very important that we know how to be time-efficient and we keep this in mind at all times. If you want to go ahead and use our Heathrow to King’s Cross station taxi services, you can choose from one of the following options: saloon car, executive vehicle, VIP car, estate, MPV, 6-7 seater vehicle, 8 seater car or vehicles that can support up to 4 or 5 passengers plus wheelchair.